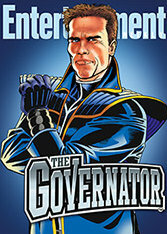 Entertainment Weekly reports that Arnold Schwarzenegger will star in a new animated series and comic book aptly titled The Governator. The project is being co-developed by the one and only Stan Lee (co-creator of Spider-Man, Fantastic Four, X-Men, Iron Man, Hulk, Thor, etc.) and it set to premiere in 2012. The Governator will have a high-tech lair beneath his Brentwood home, complete with super vehicles and a variety of Super Suits that allow him to fly and do other superhero stuff (I’m guessing there will be a suit that makes him super strong and super fast, etc), and a team of sidekicks, such as Zeke Muckerberg (a play on Mark Zuckerberg, Facebook founder), a 13-year-old computer whiz. Each episode/issue will consist of the Governator facing off against an evil organization called Gangsters Imposters Racketeers Liars & Irredeemable Ex-cons (G.I.R.L.I.E. Men, for short). Click here to check out the first trailer. Pixar is hard at work on Brave, the company’s first fairy tale film, schedule for released June 22, 2012. 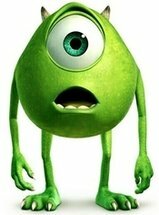 The Scotland-based film is also Pixar’s first to star a female protagonist. 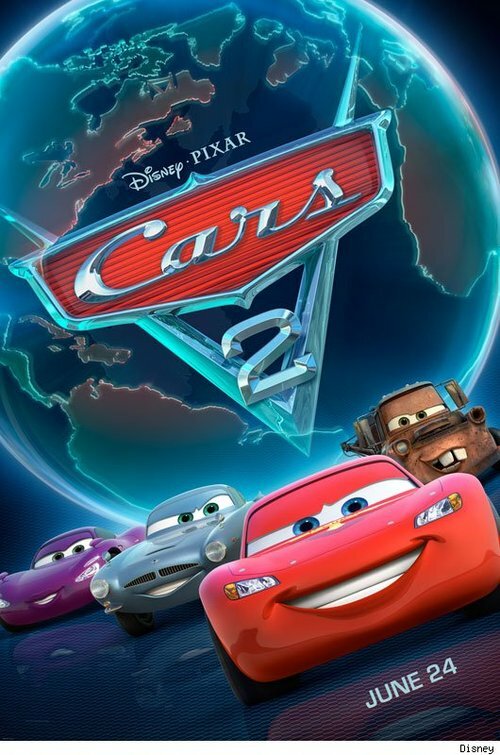 The lead character will be voiced by Kelly Macdonald, a role previously intended for Reese Witherspoon who had to drop out due to scheduling issues. Brave tells the story of a princess named Merida who brings turmoil to her kingdom and in an attempt to right her wrong seeks out an old Wise Woman who grants her a wish. Along her journey she will interact with the kingdom’s three lords: Lord MacGuffin (Kevin McKidd), Lord Macintosh (Craig Ferguson), and Lord Dingwall (Robbie Coltrane). Head over to Entertainment Weekly to check out the other two images. Good news, everyone! Comedy Central has ordered an additional 26 episodes of Futurama that will air as two seasons in 2012 and 2013. This is the same amount of episodes ordered a couple years ago with the first half airing in 2010 and the other half set to air this summer. It’s debated whether or not the 26 episode orders are one season, or two, as they are air in 13 episode chunks. If we’re basing things off of 26 episodes, this means Futurama just got renewed for a seventh season. If we’re going off 13 episode splits, it means it just got renewed for its eight and ninth seasons. Then there’s the fact that the four direct-to-dvd movies were split into 16 episodes and referred to officially as season 5. 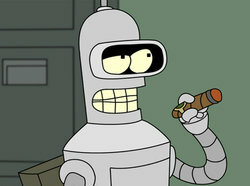 Regardless of technicalities, Futurama is set to be on the air through Summer 2013. Not bad for a once-cancelled show.